When Fritz Ottenheimer was asked what the most terrifying experience in his life was he didn’t have to think long. 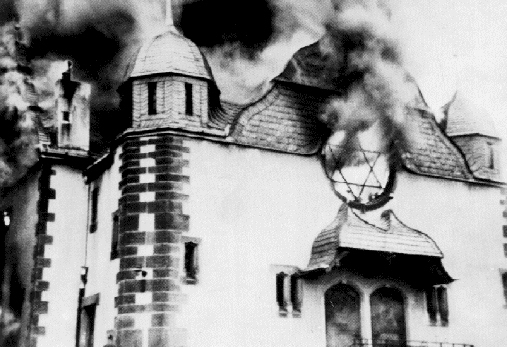 Kristallnacht, literally, “Night of Crystal,” is often referred to as the “Night of Broken Glass.” The name refers to the wave of violent anti-Jewish pogroms which took place on November 9 and 10, 1938, throughout Germany, annexed Austria, and in areas of the Sudetenland in Czechoslovakia recently occupied by German troops. 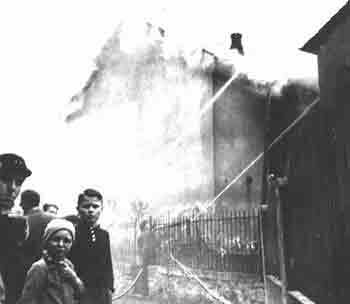 Instigated primarily by Nazi Party officials and members of the SA (Sturmabteilungen: literally Assault Detachments, but commonly known as Storm Troopers) and Hitler Youth, Kristallnacht owes its name to the shards of shattered glass that lined German streets in the wake of the pogrom—broken glass from the windows of synagogues, homes, and Jewish-owned businesses plundered and destroyed during the violence. Ottenheimer and three other Holocaust survivors, Yolanda Willis, Shulamit Bastacky, and Solange Lebovitz, were acknowledged during the interfaith Kristallnacht memorial service at Seton Hill University in Greensburg, Pennsylvania. Ottenheimer was 13 on November 9-10, 1938, when, across the Third Reich, 267 synagogues were burned, 700 Jewish businesses were looted, 30,000 Jewish men were arrested and sent to concentration camps, and 91 Jews met death. Early in the morning of November 10 a synagogue was blown up near his home. A few hours later there was a knock on the door. Two Gestapo were there to arrest his father. Last year, on my birthday, I both lost a friend and gained a friend. I was privileged to meet Robert (Reibeisen) Mendler, the last Holocaust survivor in Latrobe, Pennsylvania. I was privileged to write an article on him in the Westmoreland County Historical Magazine and to continue his story on this blog. I was privileged to spend the afternoon of December 8, 2009, in his company (see link at end of post). I was also privileged to be the person who informed him that he was not the only survivor of his hometown, Nowy Targ, Poland. The survival of Janet Applefield, also a Nowy Targ, Poland, Holocaust survivor, was a revelation to him. Thus, enroute to his funeral, I made an impromptu decision to try to speak. I asked my husband, Monte, who was with me, if I should do this. After all, I knew nothing about Jewish funerals—this was my first experience. I did not have the time to consult with Janet, on whose behalf I wanted to speak. Somehow, though, I felt that she wouldn’t mind. When I arrived at the synagogue I fear I made myself obnoxious, asking different persons if I could speak. Even so, I was given permission, and I was invited up to the podium during the service. My husband and I attended Robert Mendler’s funeral today. Return later for a journal page. My neighbor Betty Lou just called me with the sad news that Robert Mendler died last evening. The 84-year old was born July 6, 1925, in Nowy-Targ, Poland. Bob was the only surviving Holocaust survivor in Latrobe, PA. We will all miss this heroic man whom my husband, Monte and I, had the privilege of visiting on December 8. He spoke of his plans to cover the desk at Latrobe Hospital on Christmas Eve and Christmas Day, something he had done for twenty-five years. He and his wife wanted Christians to have the day to celebrate with their families. Bob is survived by two sons, Michael (wife Stacy) Mendler Stacy of McClean of VA, and Mark (fiancee Shelly Piper) Mendler of Greensburg, PA. Other survivors include family members of his late wife, Joan. He was preceded in death by 89 family members who died in the Holocaust, and his wife Joan Pretter Mendler, who died April 6, 1009. Robert Reibeisen Mendler’s funeral is scheduled on Tuesday, December 15, 2009 in Beth Israel Synagogue*. Visitation time is 10:00 until noon, the time of the funeral. Interment at B’nai Israel Cemetery** will follow the funeral. I would invite any of you who would like to remember Bob to do so by clicking the Leave a Comment link below and filling in the comment box. Your E-mail address will not be publicized. I will forward any comments to Bob Mendler’s family. **B’nai Israel Cemetery is in Hempfield Township. Today’s post is a little different than my usual writing. The remainder of Mendler’s story isn’t written for the Beanery Online Literary Magazine (BOLM), because he is not well enough to help edit the final copy. He is very discouraged. He had knee surgery in January 2007, and is still experiencing a lot of pain. Mendler’s next assignment, Camp Fluskis Co., was a forced labor camp in the town of Czarny Dunajec, the location of two companies: Poland Mining and Hobag A. G. Wercke, a lumberyard. He alternated working for them, and commuted to the jobs from his hometown. At Poland Mining he pulled stones from a river. This segment tells about Mendler’s first experiences as a Jewish prisoner of the Nazi Regime. 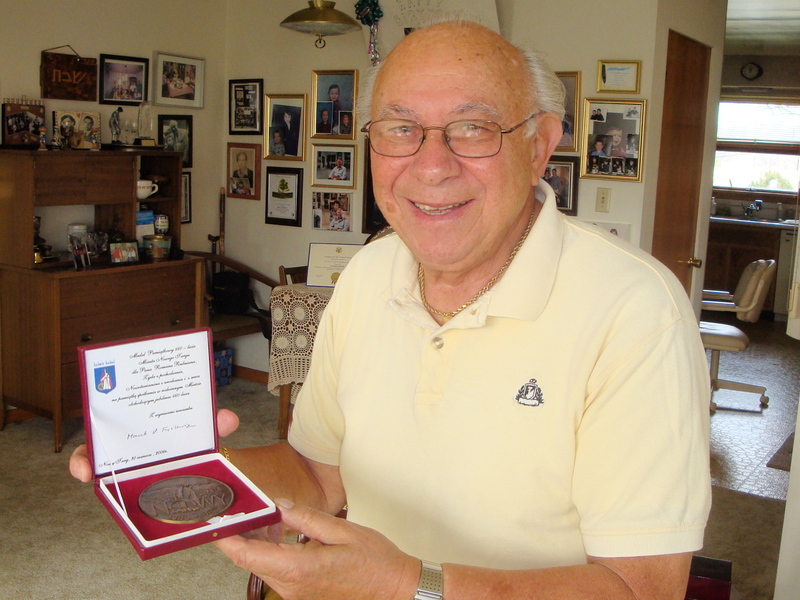 Mendler’s first experience as a holocaust survivor was in 1939 when his hometown of Nowy-Targ, Poland, became a Jewish ghetto under Gestapo rule. The minimal education permitted for Jewish children was gone. Food was rationed. Ten Concentration Camps Before Liberation.